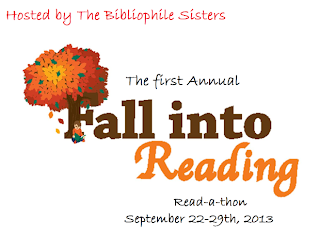 Day 2 of the Fall into Reading Read-a-Thon, hosted by The Bibliophile Sisters. Yesterday was the first day of the read-a-thon and I think it has started off well! We are going to do a fall poem challenge. Basically, write a little poem about fall. Ok, I haven't written a poem in quite a long while...but, here it goes. a head of the coming freeze. The colors of the trees change to yellow, orange, red. and oh my, pumpkin bread. Sadly this beautiful time slips away like sand. The time for enjoyment is here. it's easy to be happy this time of the year. And with that, I now must say, good-bye. It's not my best work, but it will have to do. 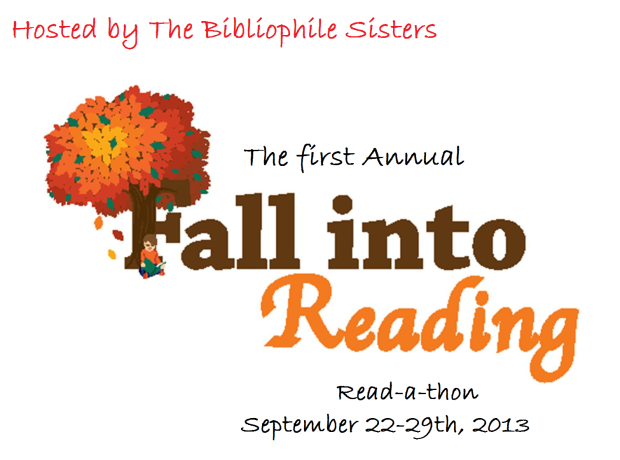 What would you poem about Fall be like? What a nice poem :) You're really good at this! Ugh! I need to work on it.. LOL! Great poem and nice progress on your reading! Crystal, thank you. It's been a long while.